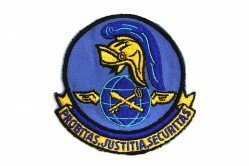 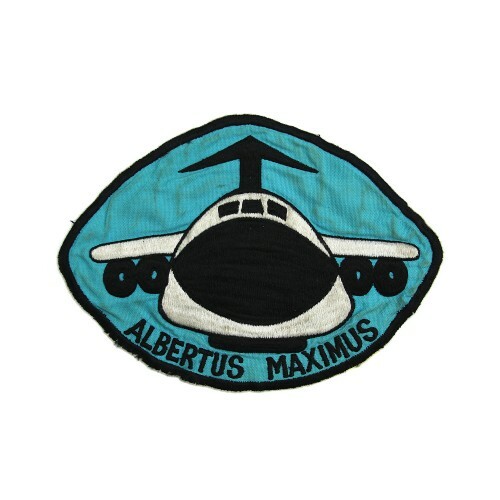 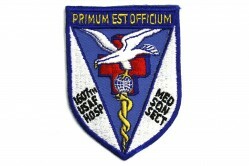 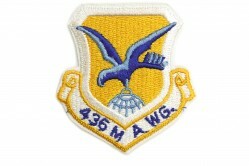 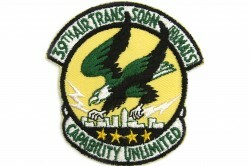 The patch depicts a cartoon C-5 Galaxy aircraft with the words “Albertus Maximus” below. Among other nicknames, the C-5 was sometimes called Fat Albert. 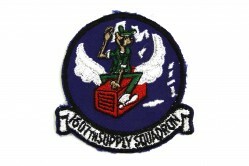 The patch was designed by donor, Lt. Col. Harry Heist, USAF Ret., and Lt. Col Bernie Hiskey while on crew rest in Kadena City, Okinawa. 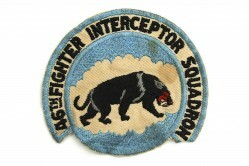 A local tailor made two patches which were then sewn onto their clothing hang-up bags.